The period of World War Two and the role China played in winning the war against the Japanese is often misunderstood. Since they became our sworn enemies so soon after the end of the war we never really examine the sacrifices the Chinese made in our common cause during this time. This film will help put much of that into perspective for the average viewer. Chinese director Feng Xiaogang has created a modern epic film with this sweeping tale of China before the days of Mao; when she was still roiled by internal strife, even as she was assailed from without by the Japanese. As if those two forces were not enough of a challenge to a beleaguered people, there came a famine. And with that famine came all the corruption and greed imaginable as people try to keep their own families alive; often at the expense of their neighbors. Complicate that scenario with an occupying enemy force which demands most of the available food reserves and the situation becomes even more of a nightmare. 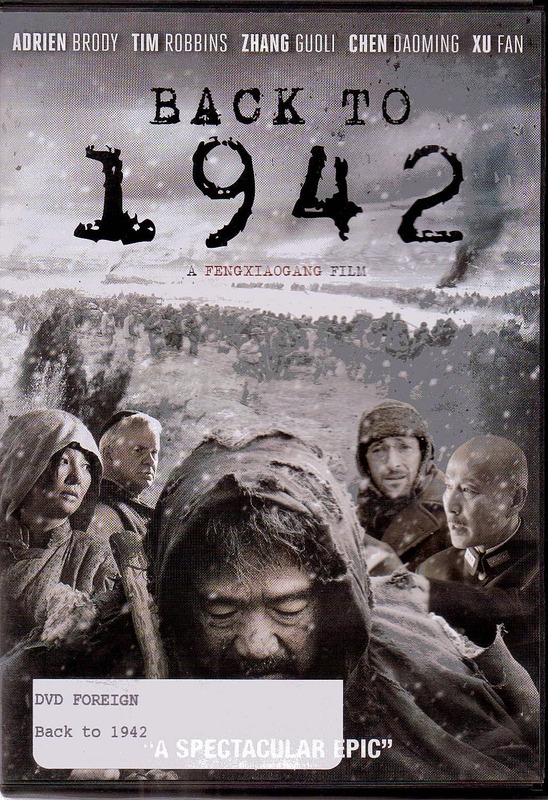 The Henan Province is where this film is set; the year is 1942. Tim Robbins plays American Priest Thomas Megan, and Adrien Brody plays a very young Theodore White working as a journalist to uncover the truth in a land where the truth is as great a commodity as food itself. Whose truth do you want? Watching this film with test your faith if you have any; and make you long for it if you don’t. But whatever your reaction, this film will give you a clearer understanding of how the China of Mao Tse Tung came to be. And that knowledge will help you to understand the China of today. This is a truly remarkable film.